At P&G, Gender Equality is ingrained in our DNA – for over 180 years since the Company started, gender equality has always been an integral part of our core values and beliefs and an imperative to sustain our success. As a company of leadership brands that touch lives of billions of women and girls, understanding and empowering women is fundamental to P&G. Many of our products are made uniquely for women and girls – brands like Whisper, Pantene and Olay and, women buy or influence the purchase of virtually all the rest. We represent our consumers by making P&G the Best Company for Women and as a company that understands women, it is our responsibility to lead change inside and outside P&G through our brands, our people and our partnerships programs. Our aspiration is very simple – to create a world free of bias – with equal representation and equal voice for everyone, a world where everyone sees equal. As world’s largest advertiser, we leverage our voice to spark conversations about gender bias and motivate change. We do this with Brand campaigns like SK-II #ChangeDestiny, Joy “Job to Joy”, Olay #Fearless or Always #LikeAGirl which are viewed by millions. We do also work to ensure accurate portrayals of women and girls in advertising and are involved on several initiatives to promote more women in advertising creative and production roles. We take pride in the social and community programs delivered through our own employees and in partnership with organizations who share our commitment to advocate for eliminating gender-biased barriers to education for girls and economic opportunity for women. Our non-profit Children Safe Drinking Water provides more than one billion liters of clean drinking water each year helping women and girls who are disproportionately burdened by the global water crisis freeing them up to attend school or dedicate time to their businesses. We are partnering with organisations like WEConnect International and UN Women in 14 countries to provide training to women entrepreneurs to develop their capabilities and help their business prosper. 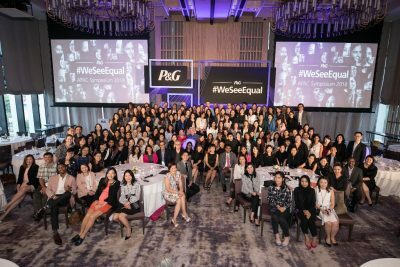 The P&G and WeConnect International Women Entrepreneurs Development Program 2019 has just launched in Singapore and will impact twenty women’s majority owned business enterprises from diverse business sectors. Our Top 100 Women Program accelerates the careers of female leaders by matching them with mentors from the Leadership Team, who will guide them throughout their career. Our “Lean In Circles” in APAC with over 350 members meeting as small groups in order to learn and encourage each other to succeed as women leaders. We have improved existing Company Policies such as standardized paid maternity leave and leveraging Men as Allies, we work closely with men across the organization and offer them training on gender bias and get them to become active advocates for change. Results we’re most proud of include having reached 50/50 representation at Manager level. We do also receive continual external recognitions and awards and more importantly, the continuous recognition of our employees. These results make us feel positive that progress is possible but, we know there is still much to do. 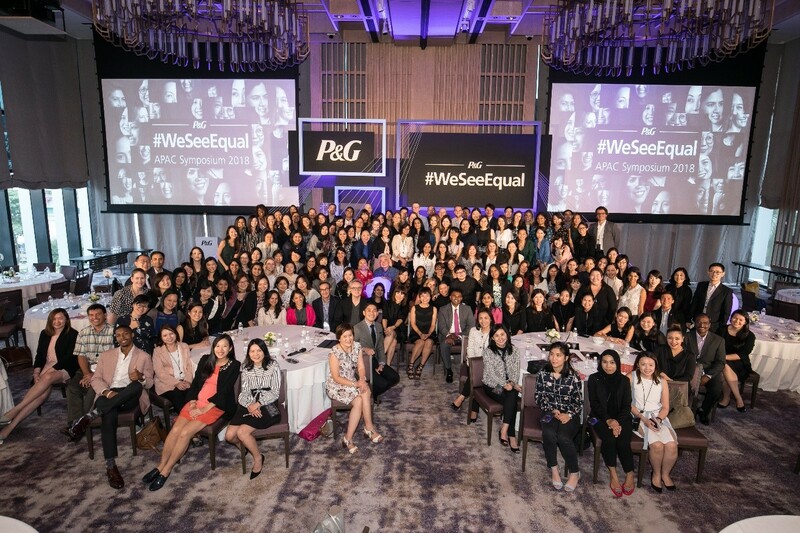 At P&G APAC #WeSeeEqual, we are pleased to join the Singapore Council of Women’s Organizations to share our practices and key learnings, get inspiration from others’ and work together to accelerate progress to our aspiration for a world with equal representation and equal voice for women and men.